Please let use know your findings on the questionnaire below. 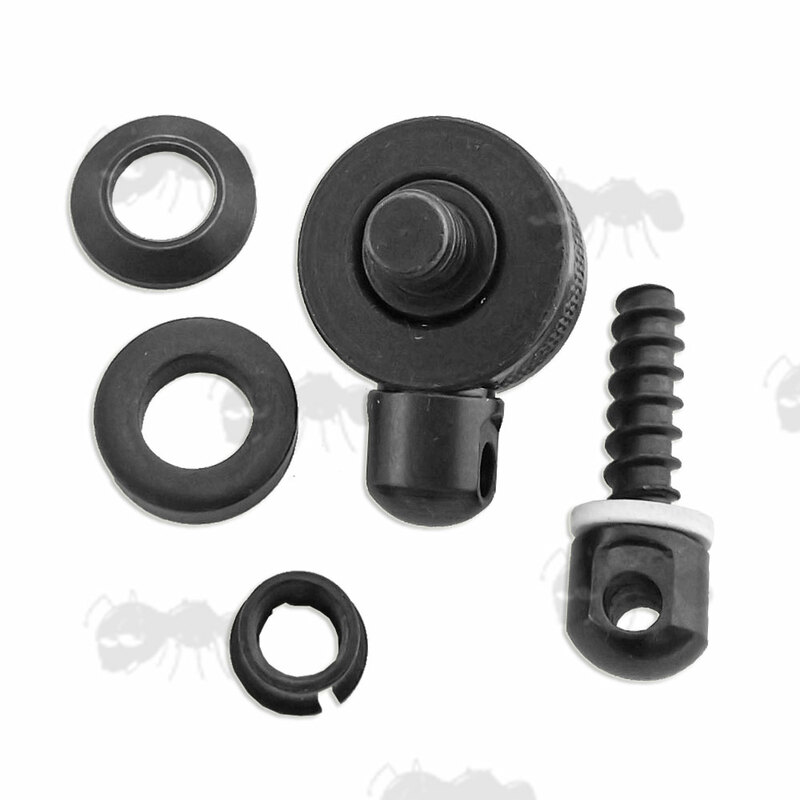 Quick-detach sling swivel base, to upgrade your existing factory fitted magazine cap. 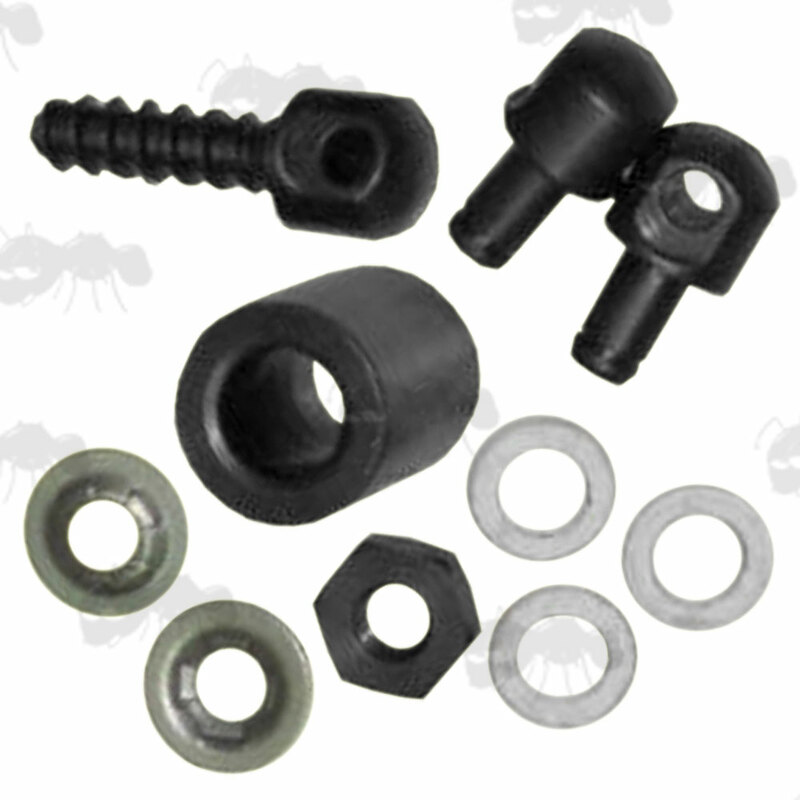 They accept QD sling swivels with pins of a 3.5mm diameter. Existing cap modification maybe required. 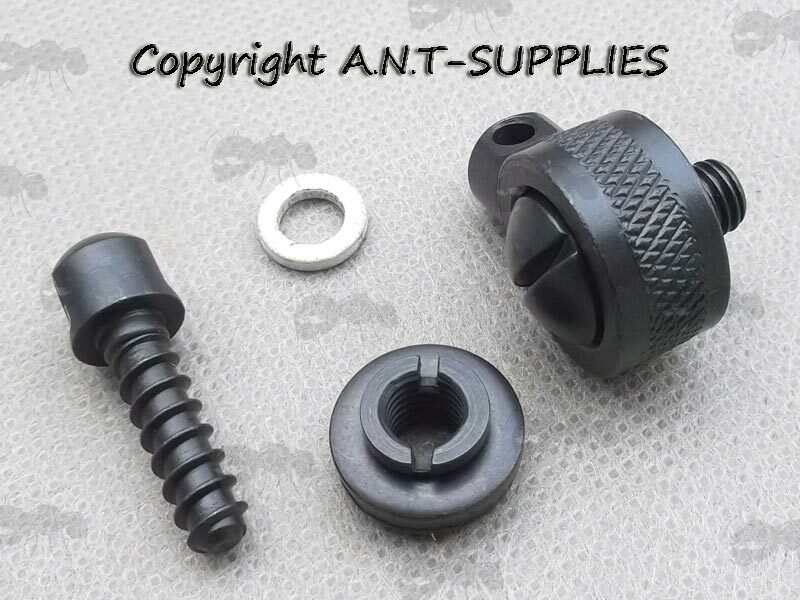 Also available ~ Shotgun magazine sling fittings and Shotgun magazine tube rails. Ithaca Mag 10, Deerslayer (1983 and later). Benelli Black Eagle Super 90. Browning Auto 5, BPS, A500, BSA 10, BPS 10, Stalker, 10 ga., Model 12, Gold. High Standard Supermatics, Supermatic Flite King Deluxes, Flite Kings. Ithaca All Model 51s (except 1983 and later), 51 Deerslayer, XL900, Xl300 Autos. Mossberg 3000, 1000, 712, 9200, Ulti-Mag 5500 MKII, 590. Remington 870 Series, 870 Express, 870 Lightweight Ltd, 870 F, 870 Special Field, 1100 Series, 1100 Special Field, 11-87, 11-96, Sportsman 12, other pumps. SKB 900 Auto, 7300 Pump. Smith & Wesson 1000 Autos w/o QD Bases, 916 Pump, 3000 Pump (5 shot, wood stock, w/o QD Bases). Winchester 1200 Series, 1300 Series, Super X, Ranger Pump, Other Pumps and Autos, Model 12, 59, 97 Riot. Extra Information: It will not fit Browning 2000, Winchester 1400, Ithaca 37, Savage 30, Sears 21, 30, or Stevens® pumps. Will not work on gas operated recoil shotguns. Benelli Black Eagle, Montefeltro Super 90. Browning Auto 5, BPS, A500, BSA 10, Stalker, 10ga, Model 12. 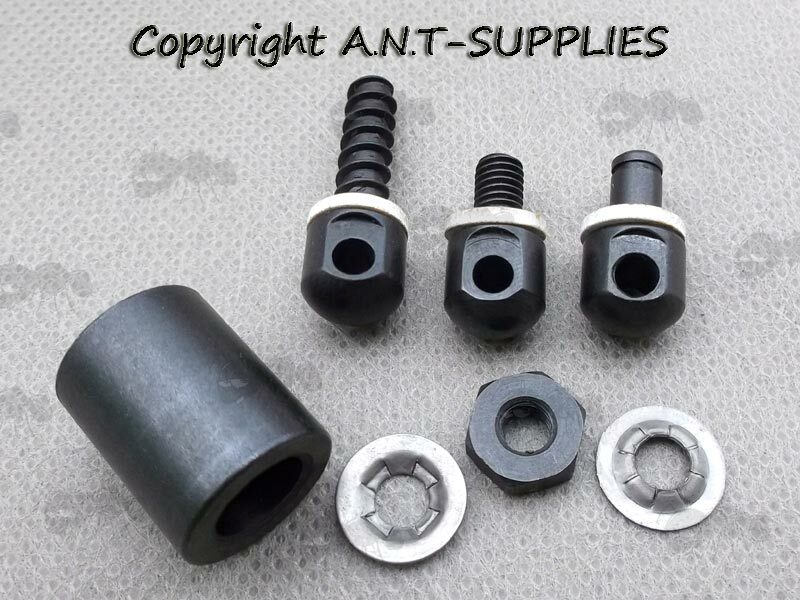 High Standard Supermatics, Supermatic Flite King Dlx, Flite Kings. Remington 870, 870 Special Field, 1100, 1100 Special Field, 11-87, Sportsman 12. Winchester 1200, 1300, Ranger Pump, Super X, SXP. 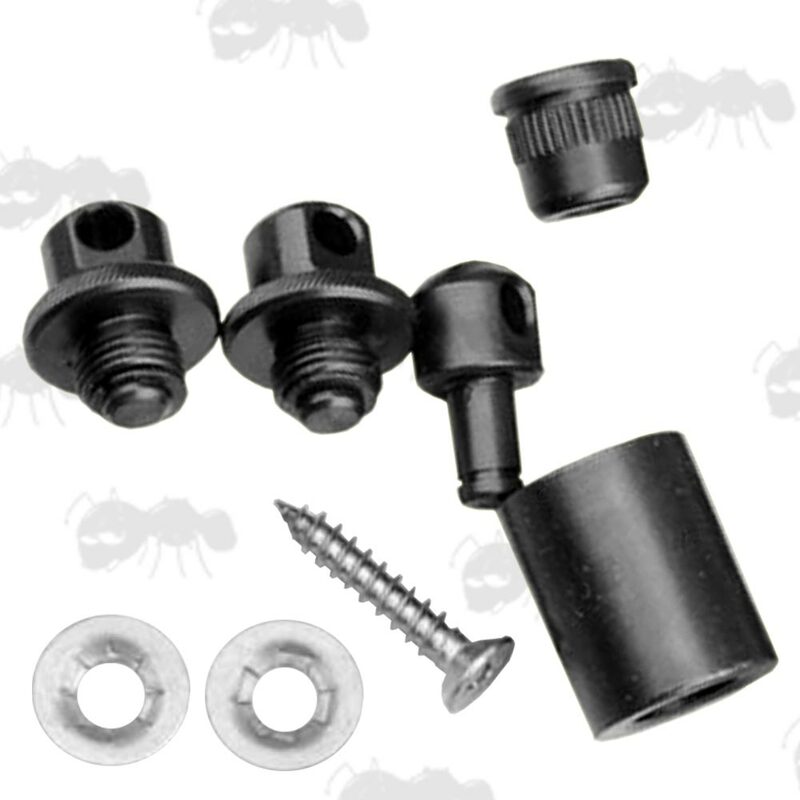 Extra Information: This set includes an adapter for Beretta 390 magazine caps and an adapter for most pump and auto magazine caps. It will not fit Browning 2000, Winchester 1400, Ithaca 37, Savage 30, Sears 21 or Stevens pumps. If you see this message, it means that your browser doesn't support iframes or they are disabled. 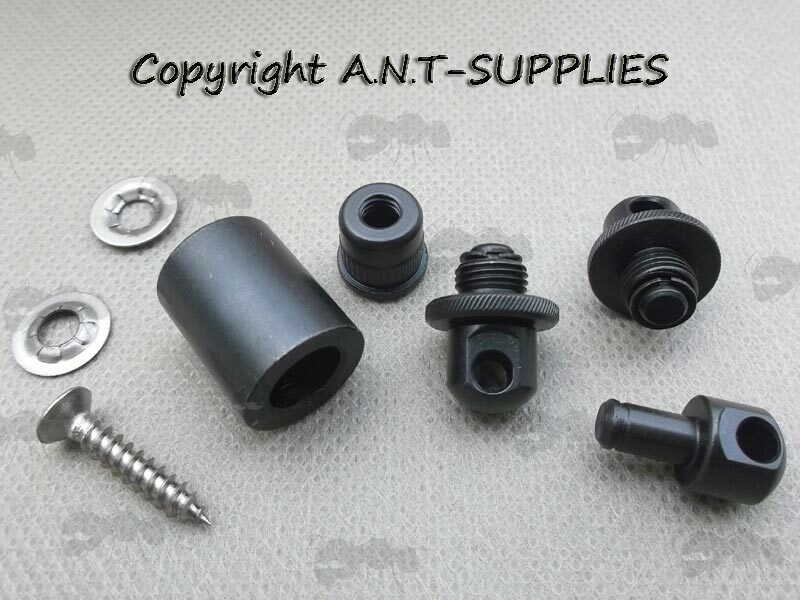 You can access the information shown in this frame here: Gun Sling Fittings Product Scroller.